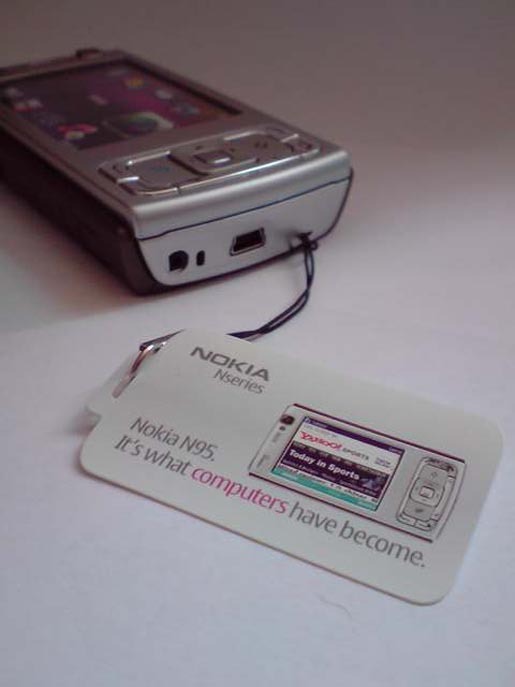 Nokia has launched the N95 computer with a television advertisement with the tagline, “It’s what computers have become”, with the voice of Harry Dean Stanton. Here’s the Nokia N95 TV ad launched in 2006, featuring the Moby track, In My Heart, from the 2002 album 18. “In My Heart” has been used for the whole N series. The Nokia N95 is an all-in-one multimedia computer with a unique 2-way slide design, integrated GPS functionality, a 5 megapixel camera and support for high-speed mobile networks, making it easier to watch and record videos, listen to songs, take high-quality photos, browse the internet, or catch up on email while on the move.